Item # 306843 Stash Points: 3,995 (?) This is the number of points you get in The Zumiez Stash for purchasing this item. Stash points are redeemable for exclusive rewards only available to Zumiez Stash members. To redeem your points check out the rewards catalog on thestash.zumiez.com. 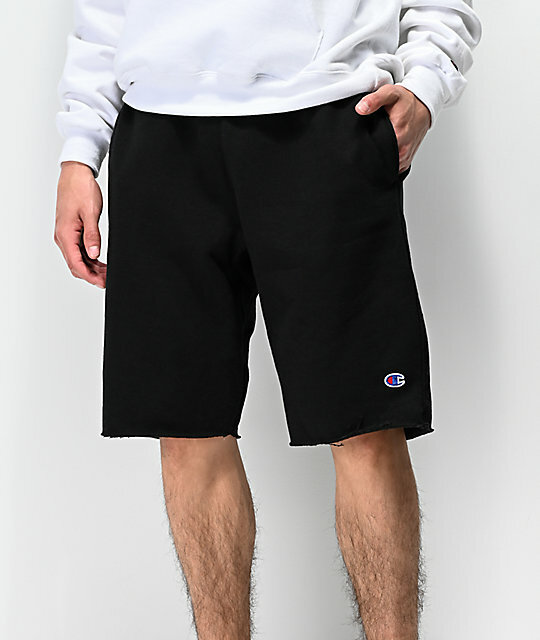 Get comfortable in fashion-forward style with a pair of Champion Black Cut Off Sweat Shorts. 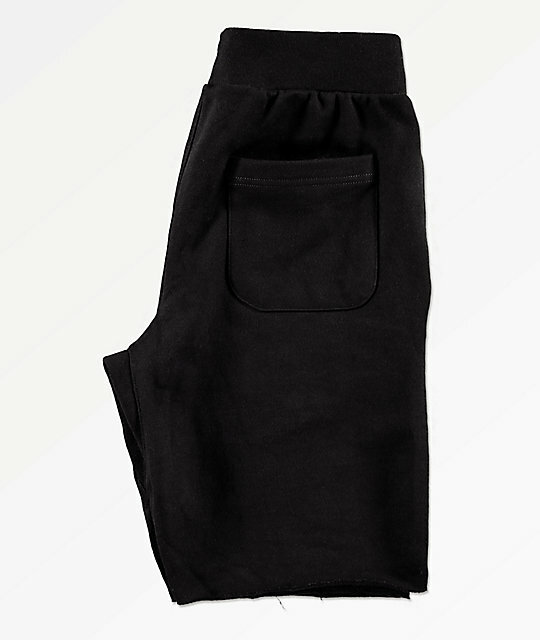 Highlighted by a heavy weight and fleece lined construction for warmth, these shorts also come with an adjustable drawstring waist for an ideal fit. Finished off with a Champion brand patch at the lower left leg, these shorts are a must-have for all your athlesiure looks. 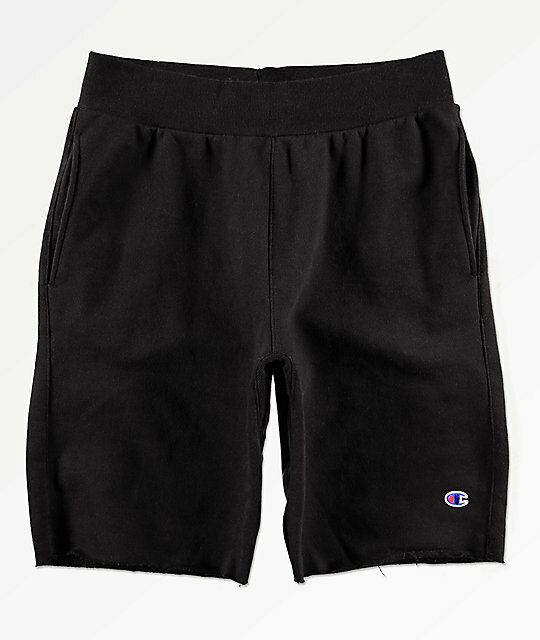 Black Cut Off Sweat Shorts from Champion. 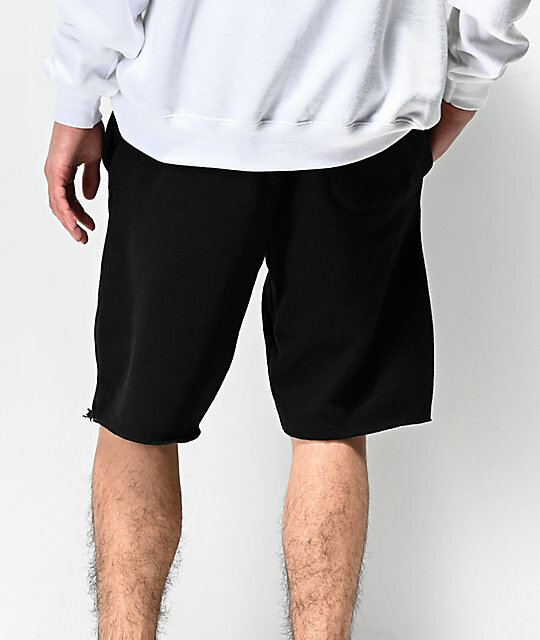 Embroidered logo at lower left leg.